As the new school year officially starts here in New York, I am reminded of the thousands of students in the city, who will eventually descend upon our museums, science centers, botanical gardens, libraries, historical societies, and many other informal places of learning. As always, I am inspired by these young learners who bring a richness of experiences, languages, cultural identities, curiosities, and imagination that make our institutions come to life. In my own practice, I often wonder how I can tap into the wealth of characters and personalities each student brings to the table to create a truly engaging and equitable learning environment for all. As school programs educator at Queens Museum, I was amazed by the diversity of the students that were coming into the museum; reflecting the demographic of the borough (one of the most diverse in the country!). It was more than I had ever experienced working in other museums/cultural institutions in New York. Based on my own observations and conversations with teachers, I realized that in a class of 35 students there might be knowledge of at least 10 languages whether spoken by the students or by their families at home. Census data shows that close to half of Queens residents (47.8%) are born outside of the US and more than 50% speak a language other than English at home. Some estimate show that there are more than 150 languages spoken in Queens. In many ways, I saw myself in these students. As an immigrant, I also come from a multilingual and multicultural home. I consider myself part of generation 1.5, coming to America when I was 13 years old. These students inspired me to reflect on how I can further challenge my teaching. How can my own immigrant background inform my teaching? What are some of the effective teaching strategies I’ve learned the field? And how could I combine this sensitivity and the strategies to engage multilingual students and their peers in the group. So for a couple of months last year, I explored and used many different strategies in our Panorama of the City of New York exhibition, the crown jewel of the Queens Museum’s collection and our most requested school groups tour. The result was an “Educators Guide” which I compiled and illustrated by Megan Leppla. The guide was originally presented for school programs at Queens Museum and am sharing here as a resource for other educators. The classroom teacher should know their students best. Prior to their visit or right before the tour, check in to see what the teacher’s goals are for the museum visit, what curriculum connections the class is making or want to make, and if there are any special needs or considerations. This is a great time for me to ask if there are other languages spoken or used in the classroom. I also let the teachers know that I welcome and encourage moments to translate key words, questions, concepts, and/or ideas to reach the most students. This is a great way to collaborate and engage the teacher during their visit. Use active cues to get students attention. 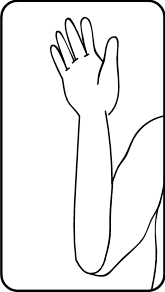 Clapping: I like rhythmic clapping because it involves both sound and movement. Make sure that this does not distract other groups. 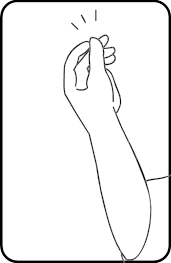 Sign: First, I introduce the sign language for the word “Focus” and then I reinforce this gesture when I need a student’s attention. Give students equitable opportunities to participate. 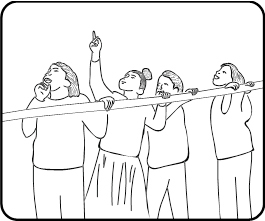 Allow students to engage with the Panorama in other non-verbal ways or without being the focus of everyone’s attention. I like to have low-stakes, low-pressure activities for all students to participate in. 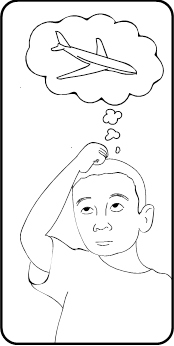 For example, as students walk into the Panorama, I ask them to think of a word that describes how they are feeling. 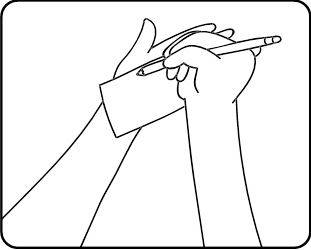 Then, I ask students to write down the word on an index card. To share I ask students to look at each other’s cards. Students can then be grouped into similar words or ideas for further conversation. Students often have lots of great observations, ideas, or thoughts but may be uncomfortable with sharing in a new space or in large groups. 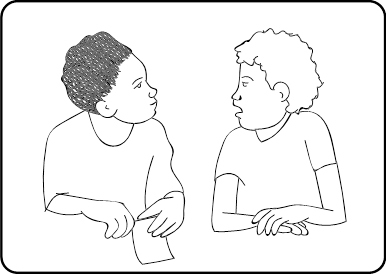 Give students space to express these observations and ideas comfortably with a friend. You can ask open-ended questions such as: How is this borough different or the same from the last borough we looked at? Affirm students’ background such as knowledge of other languages. When I hear students speak or use languages other than English, it’s an opportunity for me to relate it back to the Panorama. 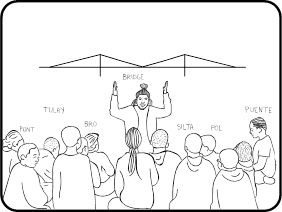 I ask questions like: “What’s another word we use for “bridge”?” In Spanish? Russian? Farsi? Tagalog? And more. I like to ask: What are some of the languages we speak, hear or read in the classroom? At home? In Queens? In NYC? This allows students to share their own knowledge inside the museum. Activate students’ relevant prior experiences. In Queens, when students point out LaGuardia and John F. Kennedy Airport, it is a great opportunity to talk about their own experiences of migration, movements, and travel. Here, I start our conversation with: What are airplanes used for? They are used for people to travel and move between two places. Then I follow up with: What are some of the places you or your family members have traveled to? Santo Domingo, Mexico, Pakistan! In this way, students are sharing their personal experiences with movements on their own terms. By reframing this question, students can freely share their own experience without necessarily answering: “Where are you from?” This is a great way for students to learn more and teach each other. Make room for student questions. 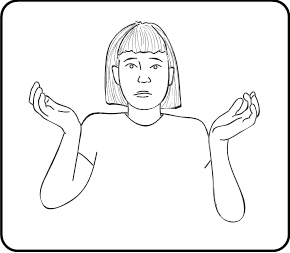 As educators, we often get excited about teaching and sharing knowledge and information that we sometimes forget to stop and ask students if they have any questions or need any language clarifications. Once during a visit with a 2nd Grade group, I kept using the word “gallery” to describe the spaces we were moving in until finally one brave student stopped and asked “What does “gallery” mean?” A-ha! Reinforce vocabulary students are learning in the classroom. Check to see if there are any concepts or vocabulary from the classroom that you can bring into the visit. Teachers often use the Panorama as a way to learn about rural, urban, and suburban communities. I like to emphasize this classroom connection by asking students to define these terms using the Panorama. 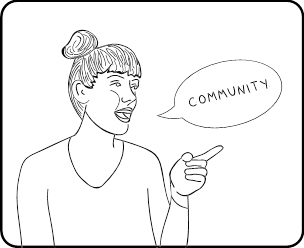 I ask students questions like: How can we identify the different communities? Where do you see an “urban” community here? What does “rural” look like? What makes this “suburban”? Engage students actively through multi-sensory activities. See: Try extended looking. I like to challenge students by asking them to look closely at the Panorama for an extended time, about 2-3 minutes without comments, questions or raising their hands. Sketch: Use a Telescope! Students can observe closely by sketching a detail (building, bridge, statue!) they find most interesting in the Panorama. Hear: Create a Soundscape! Each student can make a sound or noise that they might hear or imagine in the space. Direct the soundscape symphony with a meter! Feel: How does it feel? Have students touch and feel building blocks, models, and other touch objects. Move: Students can pose like their favorite skyscraper in Manhattan or decide like the Statue of Liberty what their pose might be if they were a statue or monument. The museum is a great place for all students to learn, discover, and come together as a community. What makes the Panorama special is that it gives all of us a singular view of our city. We all have a piece of NYC in us, together with 8 million others, that makes it special no matter where we or our families come from. I welcome fellow educators to share or reflect on their own strategies that allow students fair opportunities to engage and participate during school group visits. Header image: “Queens Museum of Art | The Panorama of the City of New York | tight overview from west of lower Manhattan, including the twin towers of the World Trade Center, the Brooklyn & Manhattan Bridges, etc.” Photo by Chris Devers, CC BY-NC-ND 2.0. 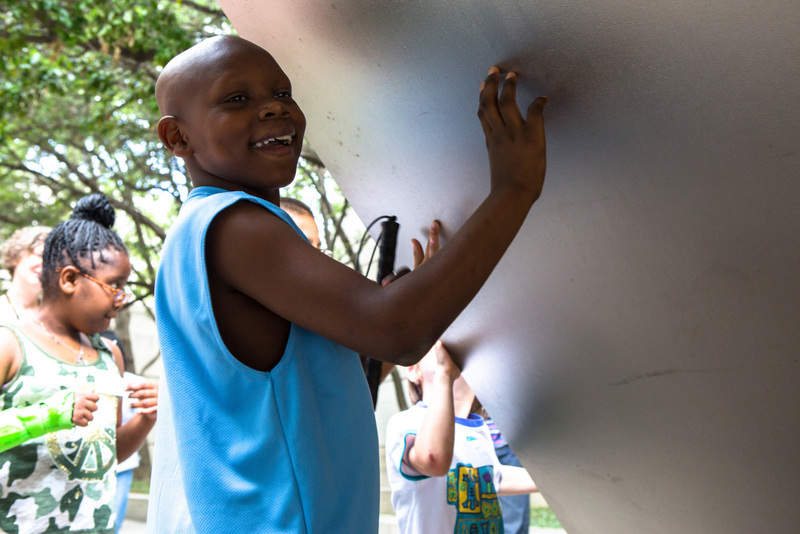 Reposted from the Dallas Museum of Art’s education blog DMA Canvas, where the museum’s fantastic education team writes about creativity, community outreach, technology, and insights into the field of museum education. Many people may not think that of an art museum as the ideal field trip location for a group of children with visual impairment, but when the Dallas Independent School District (DISD) contacted the Dallas Museum of Art (DMA) earlier this summer with such a tour request, we were eager to provide the best experience possible. When discussing the visit with vision teachers at DISD, they felt it was important to expose their students to art and wanted an experience that would illustrate to the students that they too have the ability to create and appreciate art just as well as any other student. The Dallas Museum of Art has never before offered guided touch tours to visitors with visual impairment, but after speaking with our Director of Exhibition Design, we learned that she fully supports inclusive gallery teaching, and thus was open to supporting the Museum’s first ever touch tour. We talked with our colleagues in the exhibitions and conservation departments and found that they too were fully supportive of trying out a touch tour with the DISD students. The DMA Sculpture Garden was identified as the best place for our inaugural touch tour, since the objects in the garden are designed for an outdoor space and are thus subject to (and able to withstand) a variety of natural elements. We also felt that it was essential for the students to have the galleries to themselves during the tour, so as not to confuse other visitors about the acceptability of touching works of art, as well as for the overall comfort of the students with vision impairment. We therefore decided to schedule the touch tour for a Monday, when the Museum is closed to the public. Our next step in the planning process was to walk through the space as a group, making note of areas that may be problematic for someone with vision impairment to navigate. The team was comprised of education, conservation, and exhibitions staff, and everyone on the team raised thoughtful questions and contributed wonderful ideas! We discussed which works of art may be the best for a tactile experience, and our conservators suggested that the kids have the chance to touch the works of art without gloves (which is usually unheard of in other touch tours!). Our exhibitions team offered to wash and hand-clean the works we selected so that they would be nice and clean for the experience. And one conservator suggested we select works of art that were large enough to be touched by more than one student at a time, so that the students could talk to one another about what they felt as they each touched the artwork. After squaring things away with the exhibitions and conservation teams, the education team began planning the educational experiences of the tour. We prepared for twenty-five students, ranging in age from six to thirteen years, all with a range of visual impairment. The majority of students in the group had some residual vision, while two students were very photophobic, and two were blind from birth. Due to the range of abilities of our tour group, our education team knew it was important to include a variety of artworks in the tour (in addition to those on the touch tour), integrate many descriptive explanations of works of art and hands-on activities, and to have numerous tactile objects available. When designing the overall tour, we selected a variety of objects that spanned time periods, artistic techniques, and geographic locations. We visited two contemporary art sculptures in the Sculpture Garden for the touch portion, two Abstract Expressionist works in the contemporary gallery, and a mask in the African gallery. Our aim was to engage all of the senses throughout our tour, as we believe that presenting multiple representations of content would effectively cater to the different learning styles of the group. We created a multi-modal experience by collecting auditory clips for sound stimulation, tactile materials and replica objects for touch, Jelly Belly jelly beans for taste sensations, and essential oils and scented colored pencils for olfactory information. Touch tour with Ellsworth Kelly sculpture. Photo courtesy of Dallas Museum of Art. Each stop on the tour had a visual description of the gallery space and of the works of art we focused on, because it was important for us to situate ourselves, the children, and the art in space, as the sense of bodily awareness in space is something that many people without vision impairment may take for granted. Much of our time in the galleries was spent guiding students in tactile looking activities connected to specific works of art and facilitating conversations about texture and form. For instance, we created a reproduction of Jasper John’s Device so that the students could not only touch canvas and feel layers of paint, but they could also replicate moving the wooden stretchers back and forth across the canvas, while imagining the technique in which Johns spread the paint back and forth. Recreating the movement in Jasper Johns “Device.” Photo courtesy of Dallas Museum of Art. 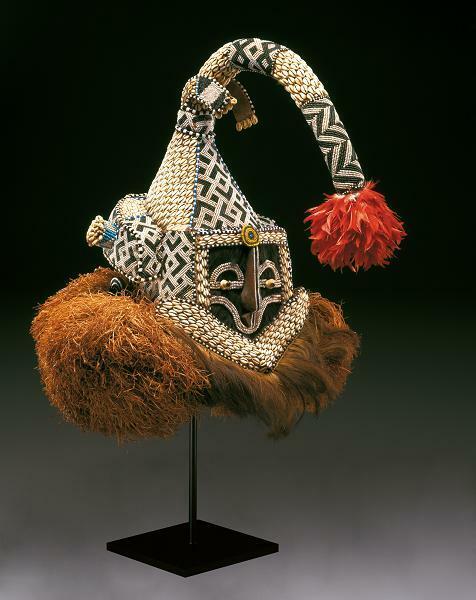 In the African galleries, we focused on a helmet mask made by the Kuba people of the Democratic Republic of the Congo, and passed around raffia, cowrie shells, feathers and other materials found in the mask. Additionally, we played sound clips of the various animals that related to the mask. Democratic Republic of the Congo, Kuba peoples, Helmet mask (mukenga), mid-20th century, Dallas Museum of Art, gift in honor of Peter Hanszen Lynch and Cristina Martha Frances Lynch. Relating to Richard Diebenkorn’s Ocean Park No. 29, we discussed how an artist could depict a place using sounds, smells, and taste. The students each ate a jelly bean and imagined the color they believed the flavor might represent. Next, they used a scented colored pencil to illustrate a place based on that smell. We also played sound clips of ocean waves and boat horns to recreate the Santa Monica locale that inspired Diebenkorn’s Ocean Park series. Our tour concluded with a sensory drawing activity that took place at the large fountain outside the Museum’s Flora Street entrance. The students listened to the sounds created by the water in the fountain, and considered how the water (and space around it) might appear, what color the water would be, even how the smell would be rendered. We gave each student a piece of thin Styrofoam and a pencil to create their drawing of the fountain; the students were able to feel the indented lines they drew onto the Styrofoam and took turns sharing their creations with one another. This was an exceptional experience for DISD students, teachers, and DMA staff alike. One teacher who helped to organize this visit said that this experience “might be the only time this whole summer [the students] get this opportunity to learn tactually, through their auditory channels and their residual vision, which sighted people take so much for granted.” It was a transformative experience as well for our Museum. We are honored to have been a part of this experience, and cannot celebrate enough the fantastic support and collaboration exhibited by DMA staff from many different departments. A huge thank you to DISD for bringing their students, and a thousand thank you’s to the DMA’s conservation, exhibitions, visitor services, and security teams. This was a team effort and we appreciate the unified support and assistance—let’s hope this is the first of many touch tours to come! 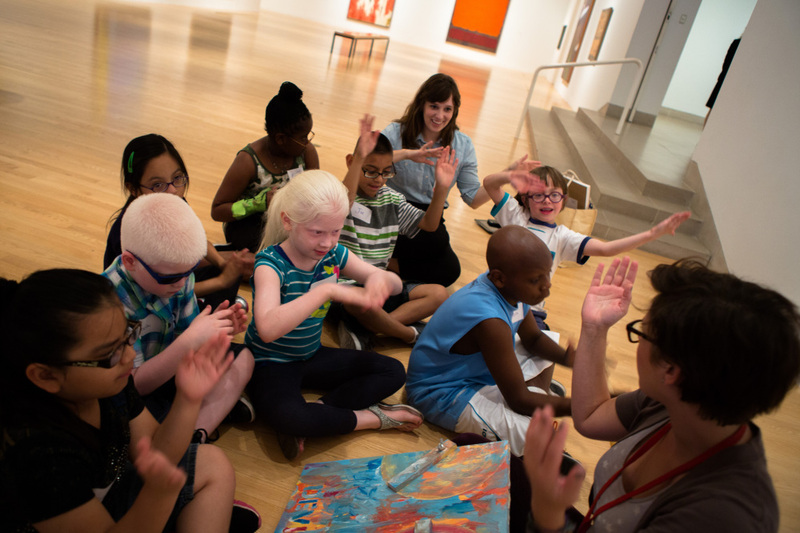 Read more about the Dallas Museum of Art’s education programs, community outreach, and explorations in creativity through their educator blog: DMA Canvas.